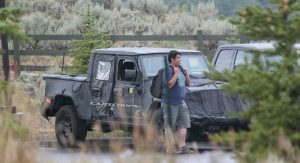 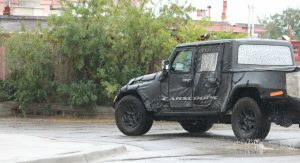 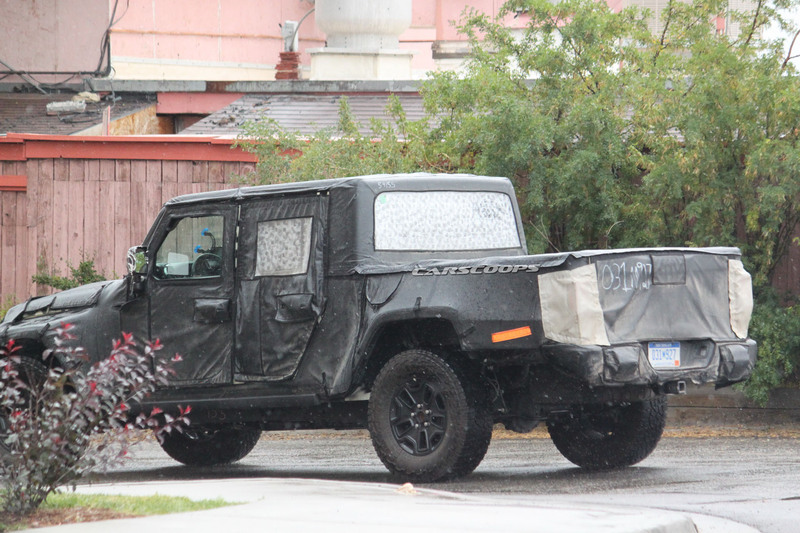 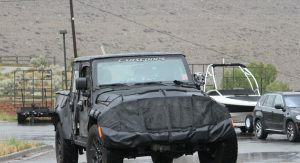 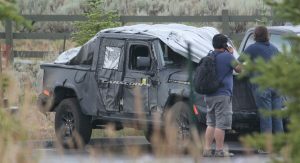 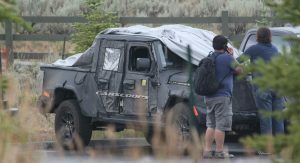 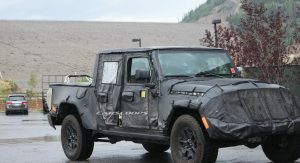 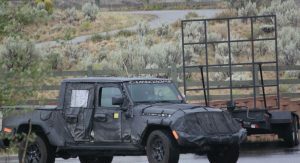 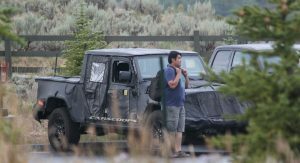 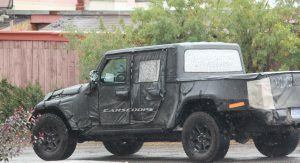 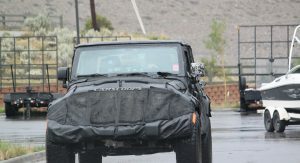 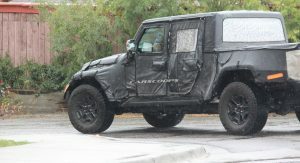 Jeep hasn’t said much its highly-anticipated pickup, but a new report is indicating the model could be unveiled at the Los Angeles Auto Show in November. 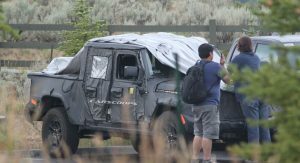 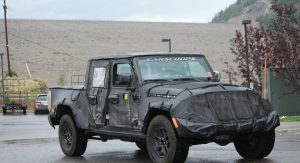 While Car Magazine simply says the truck is expected to debut at the show, it’s a fitting location since the 2018 Wrangler bowed at last year’s event. 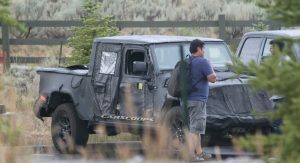 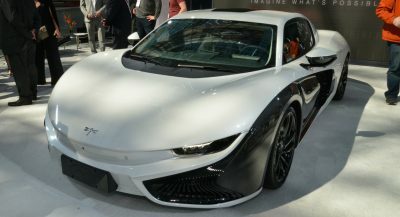 The timeline also matches up with comments from the late Sergio Marchionne who said the model would arrive at dealerships early next year. 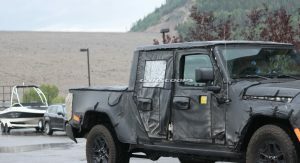 More recent reports have suggested the Scrambler will be in showrooms by April of 2019. 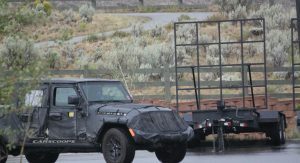 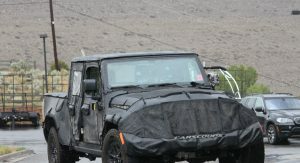 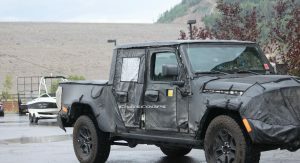 While prototypes of the truck have been heavily camouflaged, there’s no hiding the fact that the Scrambler will be heavily influenced by the Wrangler. 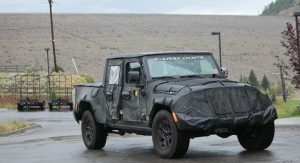 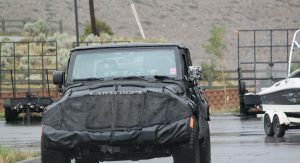 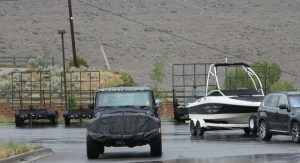 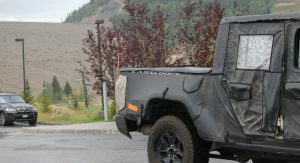 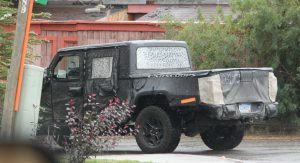 Despite the styling similarities, the truck will have a unique four-door cab and a custom hard top. 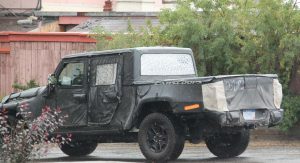 Of course, bigger changes occur out back as the model has a truck bed, a new rear bumper and an underbody mounted spare tire. 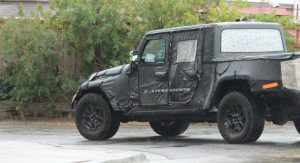 Engine options should carryover from the Wrangler, so we can expect the entry-level variant will have a 3.6-liter V6 developing 285 hp (212 kW / 289 PS) and 260 lb-ft (352 Nm) of torque. 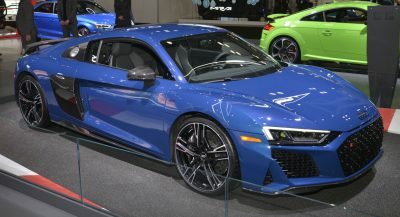 Customers should also be able to order a turbocharged 2.0-liter four-cylinder which develops 270 hp (201 kW / 273 PS) and 295 lb-ft (400 Nm) of torque. 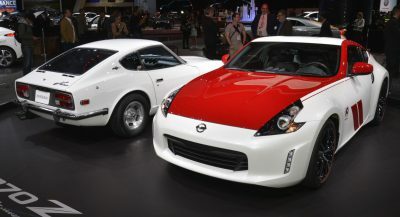 While the optional engine has less horsepower than the V6, it features an eTorque system which includes an engine stop/start system, regenerative braking and electric power assist. 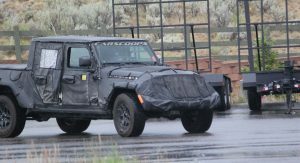 Thanks to these additions, Wranglers equipped with the four-cylinder engine are significantly more fuel efficient than their V6 counterparts. 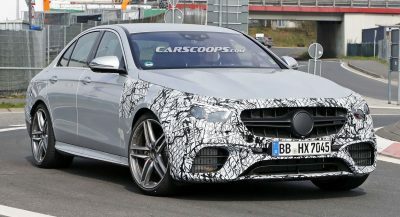 The petrol engines should eventually be joined by a 3.0-liter EcoDiesel V6 that produces 260 hp (193 kW / 263 PS) and 442 lb-ft (598 Nm) of torque. 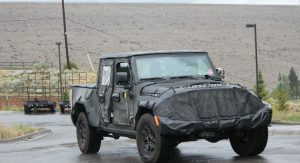 The engine still isn’t available on the standard Wrangler, so it remains unclear when it could be added to the Scrambler lineup. 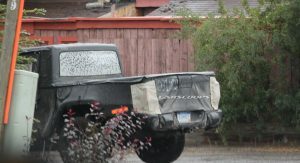 I don’t know what there is to hide, these are all over metro Detroit uncamouflaged.